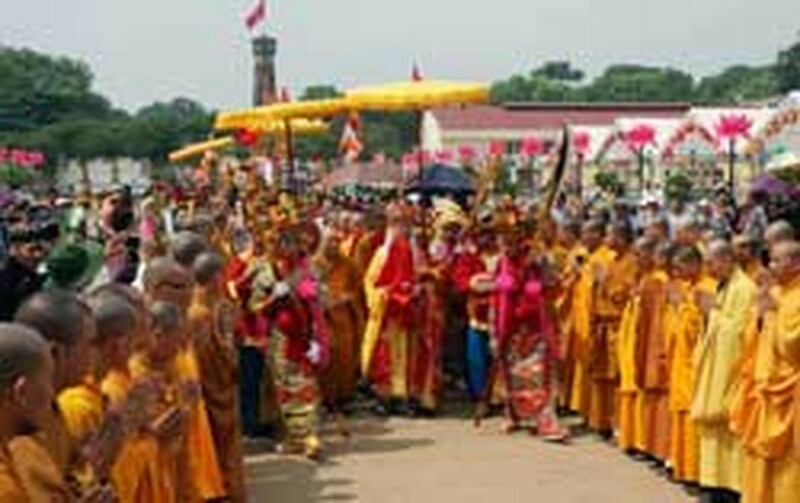 King Ly Thai To’s ancestral tablet was taken in a procession from the Do Temple, in the northern province of Bac Ninh, to the Thang Long Imperial Citadel in Hanoi on July 27, to mark the beginning of Buddhist Week. Buddhist Week runs from July 27 to August 2, a cultural event held in cerebration of the 1,000th Thang Long – Hanoi. The royal ancestral tablet was first taken to Bac Ninh Province's Tieu Son Pagoda in homage to Zen Master Van Hanh, who strongly influenced the life and career of the Ly Dynasty's founder, before its journey to the Thang Long Imperial Citadel. 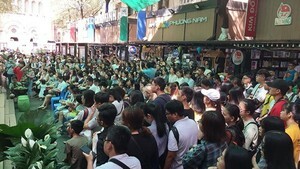 Speaking at the ceremony, the Most Venerable Thich Bao Nghiem, permanent Vice Chairman of the Executive Council of the Vietnamese Buddhist Sangha (VBS) in Hanoi, and head of the Dharma Propagation Section of the VBS Central Committee, said the event is a special one and aims to help educate today’s students on the tradition of paying respect to their teachers.